Rescued By Crabtree & Evelyn! If you are like me then you HATE dry hands! 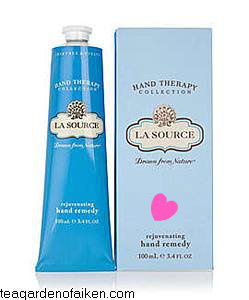 Over the Holiday I received a hand cream that has changed my LIFE! It moisturizes so well and keeps my hands feeling soft and smooth…not to mention it smells good! If u have really dry hands try doing a sugar scrub 3 times a week and then moisturizing them. Moisturizing is key! « Make Your Face Happy!